Adrianne works with Ryan twice a week online for 1 hour. She uses multisensory math techniques to engage Ryan. Ryan loves beating his dad at sports and building things with his hands! He recently won Pyramid Solitaire. *Shared with permission from Ryan’s parents. What problems was Ryan experiencing before you decided to try MFM? Ryan wasn’t understanding math the way it was being taught to him in school, mostly through verbal instruction, worksheets, and the computer program, prodigy. The school actually had a decent curriculum, but the teachers either weren’t trained in it or didn’t feel they had time to teach it with fidelity. He wasn’t making any forward progress, and the gap was quickly widening in his second grade year. For numerous reasons, I pulled Ryan from school to homeschool. He was soon diagnosed with dyslexia. I immediately started attending courses to learn what kind of instruction Ryan needed and how to advocate for him. In the meantime, I found through our local university, an elementary teacher who after retirement, got a PhD in math education. Ryan worked with this wonderful, loving teacher for six months. She taught his addition facts through 18 and the decomposition/composition of ten through math games that used concrete, representational, abstract concepts. Ryan regained a love for math again, as well as his confidence. Learning through play is truly magical. This was a needed and valuable step for Ryan. 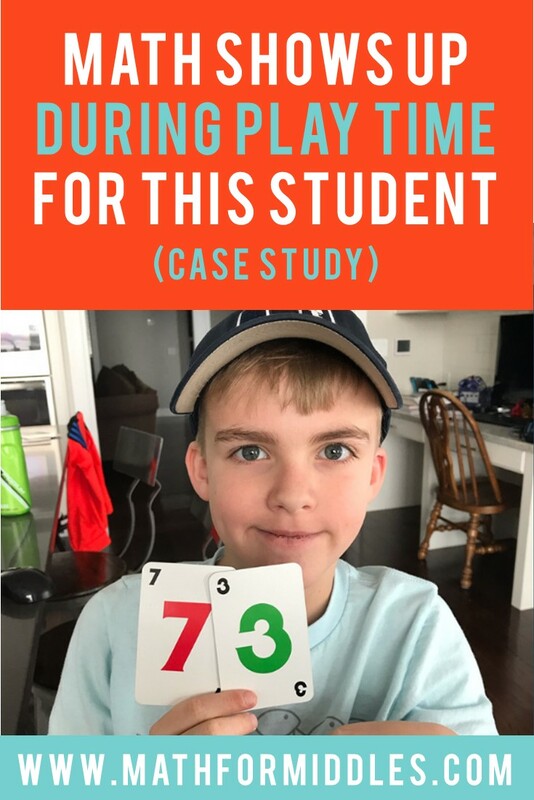 However, after six months, I knew that while Ryan was making some progress, it was not as much as I felt he is capable of, nor was he instructed in the number of topics and skills a second grader should have to keep up with his class. I had taken some math courses over the summer specific to helping dyslexic students, however I was struggling to know where to start with Ryan. I needed to find someone who could either mentor me with implementation of the strategies I had been taught or someone who could teach Ryan the rest of these concepts in a way that a child with dyslexia could understand, remember, and apply. When I found MFM, I knew I had found the answer to helping me with both needs–help for Ryan and mentorship for myself. Because of my training experiences I knew that Math for Middles would offer a full lesson plan of learning activities that covered multiple areas of math and would teach in a way that any student could understand, including students with dyslexia and dyscalculia. 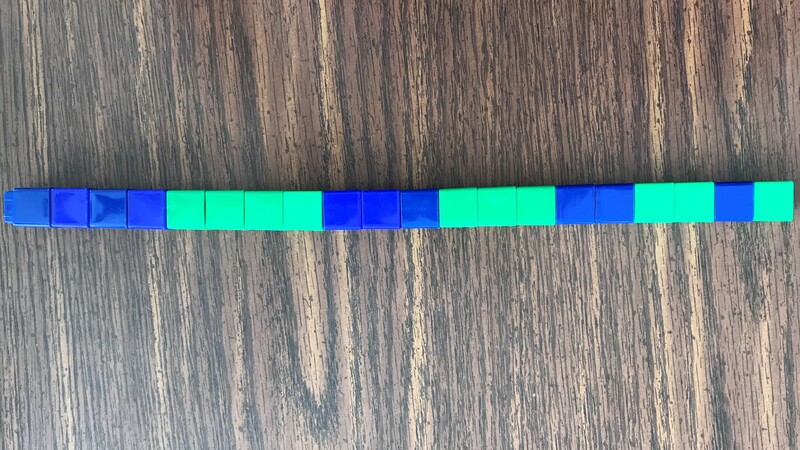 The math concepts are taught systematically, sequentially, explicitly, using multisensory methods, and works through a concrete, representational, and abstract model. There isn’t a better instructional method than that. Take a peek at some of the math showing up in Ryan’s play. Below he was making patterns on his own and also categorizing the LEGO minifigures by “with a cape and without a cape”. These are important concepts in math! How did Adrianne help Ryan to experience more success in math? Adrianne began her instruction with Ryan based off an initial, in-depth, formal assessment that identified Ryan’s strength’s and weaknesses. 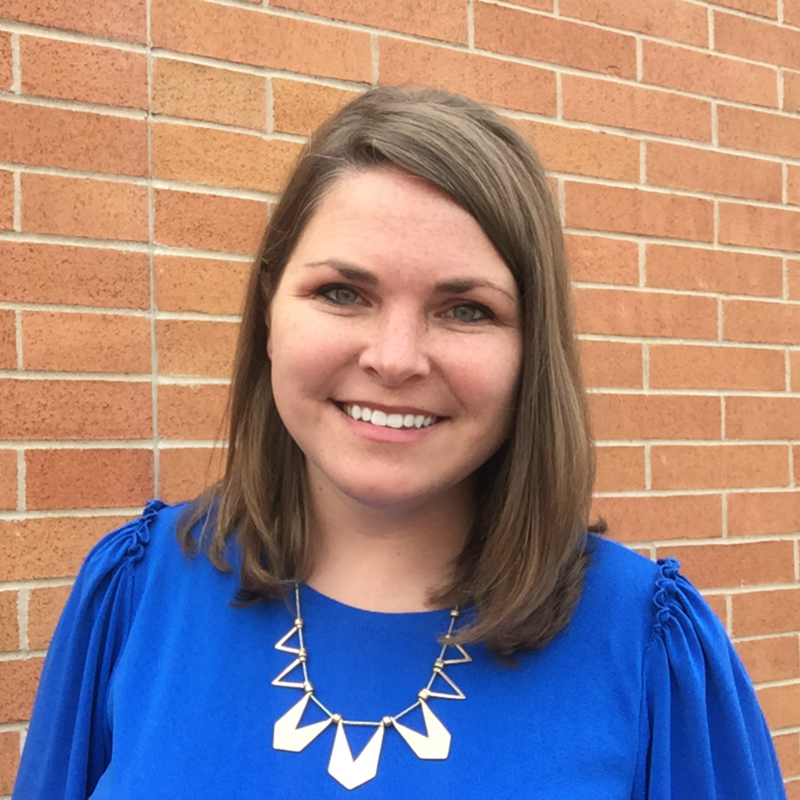 Adrianne’s lessons are developmentally appropriate and engaging. He is also getting a full curriculum of skills and math topics. 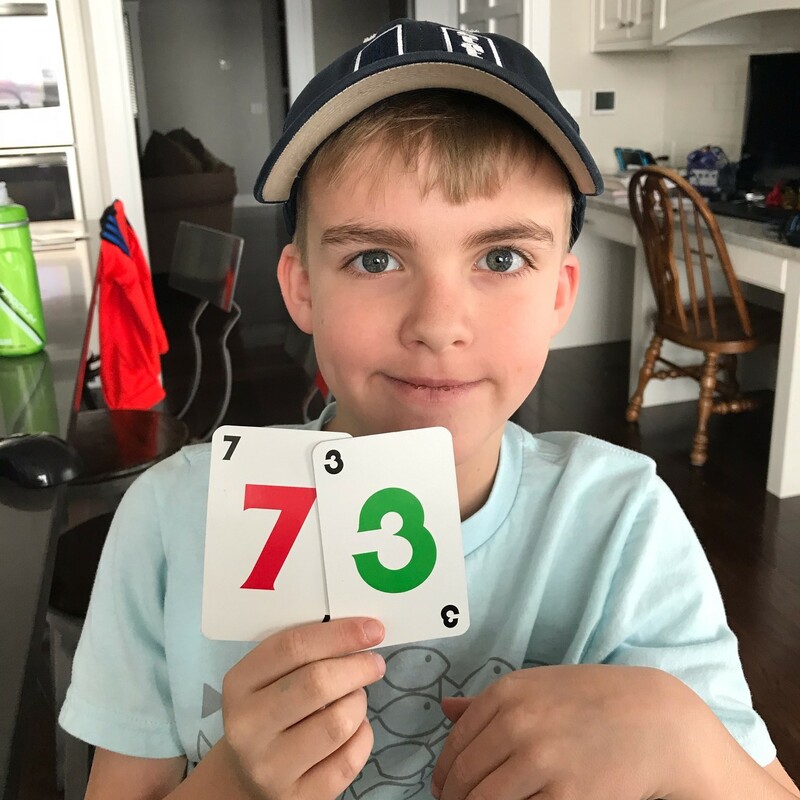 In just seven weeks, Ryan has stopped reversing his 3’s and 9’s; is developing problem solving strategies; strengthening his logic through sorting and categorization; applying his knowledge of math facts and addition; and beginning work in subtraction. Adrianne has also provided an educational therapist to help him work through his issues of anxiety, and ADHD in not only math, but also his literacy. MFM provides a way to treat Ryan as a whole person, not just his math difficulties. Ryan is making wonderful progress and I also find my confidence growing in my skills as well. What are your goals for Ryan as he continues in his math studies? continue to grow his enjoyment of math and his confidence to do it. continue to strengthen his logic, problem solving skills, and ability to identify. gain an understanding of math terms and definitions through the use of a visual dictionary and words broken into roots and morphemes, with pictorial or representational examples. solve problems that have functional applications in real life situations. My ‘Dream Big’ goal is for him down the road is to eventually be able to use the scientific method to solve math problems– to collect data from a set of problems, find the patterns, analyze it and create a theory of how a set of problems could be solved. I recognize this may not be a goal Ryan wants to do though. I just think it sounds fun to help students learn to think this way.